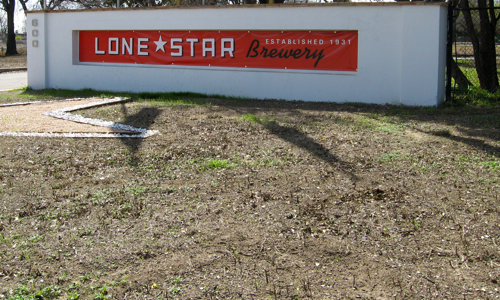 Is that Lone Star brew still around? It has been years, as my father brought some home from a trip to Texas years ago (brought me some Shiner, too). Old sign, cool shadow! Well, this one brought a lot of memories! I lived and taught school in San Antonio many years ago! And like Ralph, I didn’t know the Lone Star brew was still around. And I agree, old sign, cool shadow! Hope you have a great Labor Day weekend! Love how the shadows are like 2 points of a star near the brewery sign! Very symbolic! Great photo! We visited San Antonio some years ago – I would love to come back! a very atmospheric piece of Americana..